Zaytuna Farm | Geoff talking to Josh one of our new intern. 25 Jul Geoff talking to Josh one of our new intern. 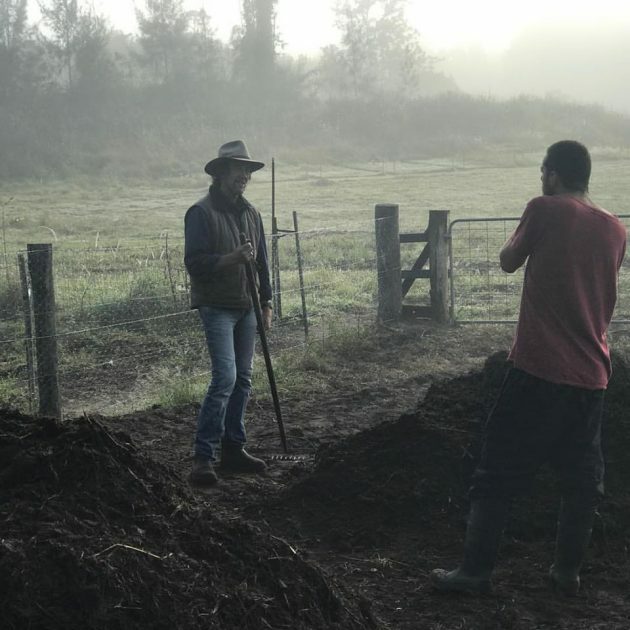 Having a chat about compost, normal main crop morning. Working out the brain and the muscles.